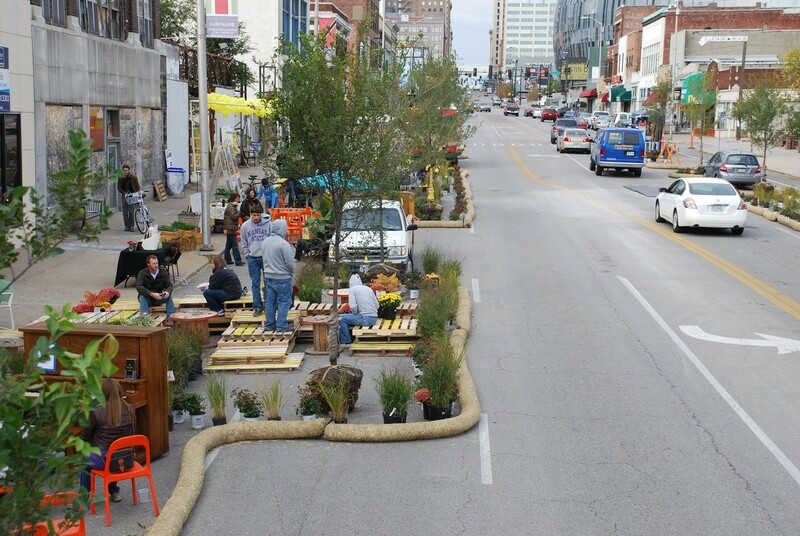 We’re happy to report that despite the cool weather, the Kansas City Better Block was a massive success! A large number of attendees showed up including the mayor and city manager to help celebrate the block revitalization effort. A stretch of Grand Boulevard was thinned and pedestrianized as part of the effort which included temporary tree installations, landscaped bulb-outs, two-way bike lanes, and more. Check out the group’s Tumblr page to see more examples of the street improvements and details on future plans for the area.